I was trying to install NAS4Free (FreeBSD) on a HP ProLiant DL380G7. I entered Configuration Utility for the RAID Controller (HP Smart Array P410i) and removed all logical drives, as there is no need for a hardware raid if you’re going to use ZFS. I assumed no logical drives = JBOD but I was wrong. 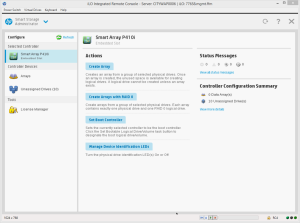 The HP Smart Arry P410i does not support JBOD Configuration. HP seems to be aware of this so they created a…hmm… kind of a workaround. 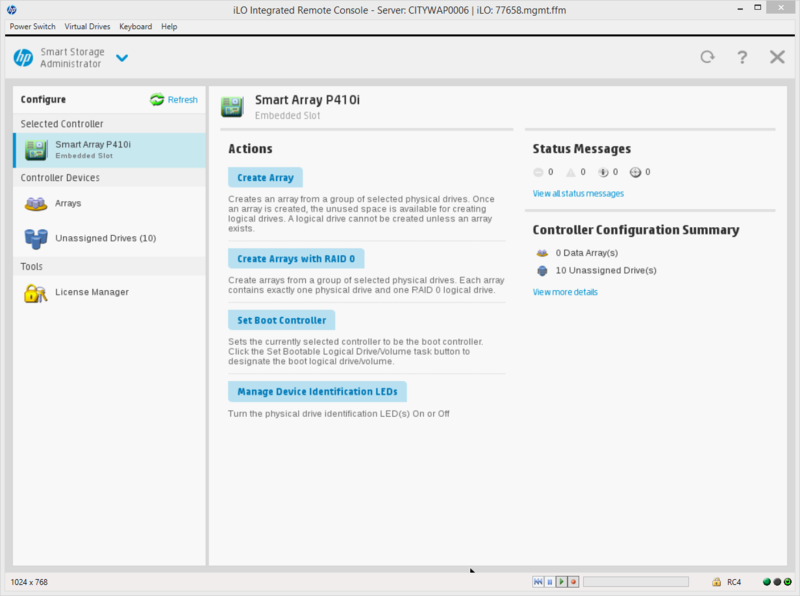 Simply boot up the latest smartstart package and start the smart storage configuration utility. In there you can create an array with RAID0, there is even a button for it. 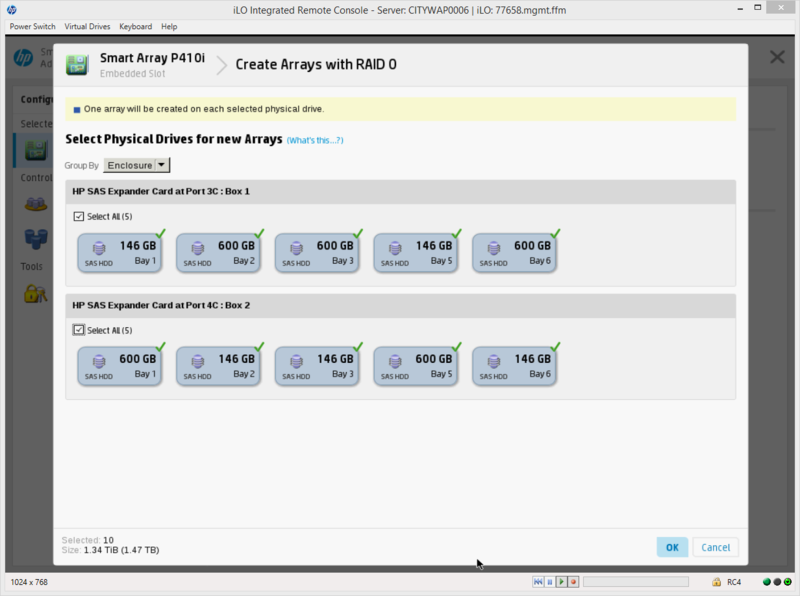 Press “Create Array with RAID 0”. After that you created a RAID0 on each physical drive. Thats it. Its no pass-through but works like jbod.